His blog focuses on growing your net worth with a unique, martial arts twist. You can follow him on Twitter @millionairedojo. Let me know if you would like to guest post on RFI! As a young child, I developed a fascination with martial arts. I would watch Jackie Chan and Bruce Lee movies all day and start practicing some of the techniques I learned on my siblings. I also developed a habit for saving money at a young age. At age 15, I finally stepped up and began to train in martial arts for real. Now that I’ve been training for several years, I see that there are lots of areas in life that training in martial arts can improve. Let’s talk about the benefits of thinking about your finances with a martial arts mindset. A true martial artist knows they’re training is never complete. This is how we should go about our finances. There will always be something we can do to save, earn more, or invest in a smarter way. If Warren Buffett is still looking for ways to improve financially, you should too. One of the most important keys to becoming a successful martial artist is to develop discipline. This is also one of the most important keys in becoming successful with money. How much money you make is not as important as how much you save. To not spend your money and let it sit in an account, accumulating interest, takes more discipline than most people can handle. You have to rewire your brain to realize you can still have a good life, without all the stuff that is being advertised to you every day. Science shows that buying material things doesn’t really make us happy. If you base your happiness off of how much you own, you probably need to rethink your priorities and gain some discipline to not spend everything you make. Martial arts takes a lot of focus. You have to stay focused on your opponents to successfully defeat them. If you’re not paying attention, you’ll end up knocked out or even worse, dead. Managing your money takes a lot of focus as well. You need to stay aware of your spending to know how you can change your habits and spend less. I’ve seen people spend their entire paycheck the day after they get it and not even seem to notice. This kind of spending is what keeps you broke even if you make a high salary. To have optimal kicks and punches, it takes a lot of stretching. To have optimal finances, it takes a lot of stretching your dollars. Create a budget, buy things used, stop going out to eat, stop buying as much stuff in general, figure out the cheapest grocery store to shop at in your area and only shop there. Your money will go a lot farther and I doubt you will sacrifice any happiness in the meantime. A martial artist is always prepared for the unexpected. You should be ready for unexpected financial emergencies because this is life we are talking about and when life happens, you will be much more relieved when you have money put away to pay for emergencies. 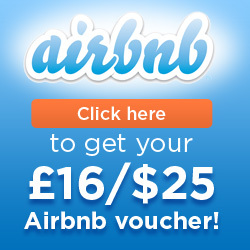 I recommend saving at least a few months of expenses. A good martial artist doesn’t panic or get stressed when unfortunate things happen. Martial arts is all about remaining calm and doing what you’ve been trained to do when the stakes are high. If you can successfully remain calm during stressful situations, you will make wiser decisions and minimize any chance of making the situation worse. You can probably see why remaining calm correlates well in your financial life. When an emergency comes, you’ll be less likely to go into debt and figure out a way to make some extra money to pay for the emergency. Too often, people will go into debt when their car breaks down. They think buying a new car will result in less repairs and take away their worries of breaking down. They don’t think about the fact that they could pay for several repairs a year if they saved the equivalent of a car payment and the extra insurance cost and paid for a cheap car with cash. So next time your broke down on the side of the road, remain calm and be patient when thinking of what to do next. You can accomplish more than you think you can. As you go through your martial arts training, you slowly progress with each class that you take. These small steps forward add up and eventually you will be much better than when you started. This is how managing our finances works as well. Each day, you have the opportunity to cut back on an expense and put that money in investments. If you continue to do this, over time you will have a huge nest egg and be really good at earning, saving and investing. The path of becoming a master of martial arts is a long and grueling process, but the rewards at the end are worth it. The focus, discipline, calmness and physical health you gain are invaluable and will improve your life immensely. 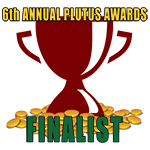 The rewards you get from mastering your financial life are immense as well. You will gain peace of mind, more time from not having to work as much and more freedom to do the things you love. 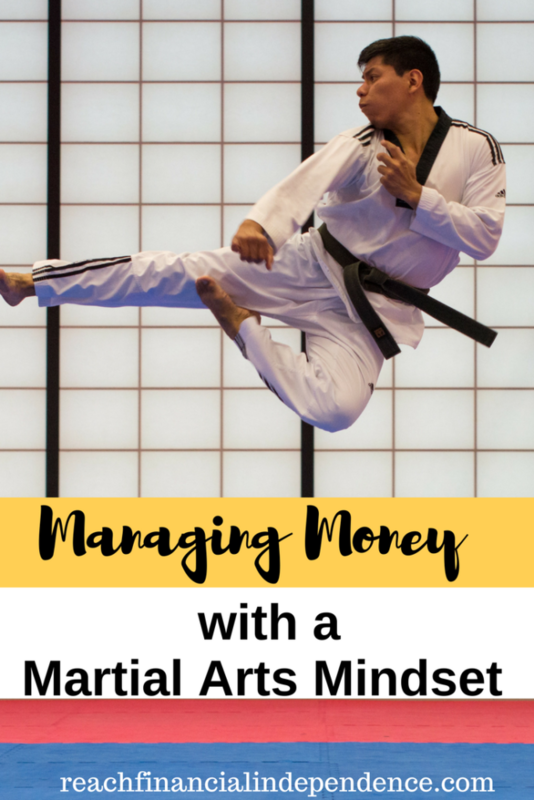 Are you managing your money with a martial artist mindset? If not, it isn’t hard to start. Just take your time to develop new habits and you’ll be kicking debt in the face and growing your investments in no time! I did karate when I was growing up, and in a way it certainly helped make me the way I am today. 1. I don’t shy away from conflict. I don’t like it, but I’m ready for it. 2. I’m focused on whatever I want to achieve. 3. I’m not afraid to be firm when I have to be. Hi Troy, those are some great points! I feel like martial arts can really improve your life in many ways if you’ll apply what you learn to other areas. Thanks for reading! Nathan Clarke recently posted..Are your anchors keeping you broke? I think material art mindset is enough to save money and spend carefully. That’s why I will consult with art specialists soon. The material art specialist just like the writer of https://newhappybirthdaywishes.com/worlds-best-birthday-wishes-for-son/ will surely help me.